I've heard amazing things about Holly Goldberg Sloan's Counting by 7's, but couldn't find it anywhere, so decided to get an introduction to the author through I'll Be There. Now I'm not sure I even want to read her other book. 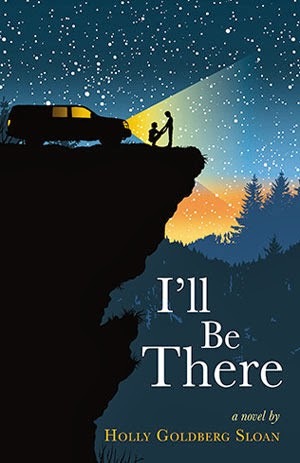 Told in the alternating viewpoints of Emily Bell, a sweet and normal teenage girl, and Sam Border, a boy who is constantly moved around the country (along with his sickly brother, Riddle) by his criminal father. The two cross paths, and then all of the universe conspires to get them together. Normally, this sounds like a book I would enjoy and then pass along to my students. Not this time. I'll Be There was too saccharine and not written well enough for any of our time. The characters were unrealistic, and unfortunately, there were too many of them. Even the most minor characters are given a backstory that figures into the ending. Usually, this is endearing to me, but Sloan didn't do it smoothly enough for me to care. I found the sentences to be too simplistic to engage me; I want beautiful writing when someone is setting out to write a modern fairy tale. I had to force myself to read the final 40% of the book…don't bother with this one.